Coronary Artery Bypass is the surgery done to improve the blood flow to the heart. Coronary artery bypass is preferred by surgeons for treating patients who have severe coronary heart disease. The surgery improves the flow by creating a new route around the blocked arteries, allowing sufficient blood flow and the delivery of oxygen and nutrients to the heart muscle. Coronary artery bypass Graft is also known as Bypass surgery or Heart bypass surgery as well. Symptoms of the coronary artery disease can be cited as chest pain, fatigue, palpitations, shortness of breath, abnormal heart rhythms, and indigestion. But the symptoms are not visible until the blockage is quite severe. A heart attack is also a resulting occurrence of coronary disease which is caused by the increased blockage of the blood. Regular medical check-up and a healthy diet can be helpful to keep the symptoms away, so make sure to a book doctor appointment at the earliest. Depending on the number of arteries blocked, your doctor may suggest you an appropriate course of action. If the number of arteries blocked is higher, then the risk factors associated with the surgery are also higher. As such, a single bypass surgery will be relatively less complicated than a quadruple bypass surgery, where four blocked arteries need to be surgically treated. The treatment is decided upon based on the results of various tests including blood tests, angiograms, ECG and chest X-rays. Usually, coronary artery blockage is treated with a heart bypass surgery in India. The surgery involves the treatment of blocked arteries by using bypass in which the coronary artery is replaced with a piece of a healthy blood vessel from any part of the body. The blood vessels or grafts utilized during the bypass surgery are pieces of veins from the leg or an artery in your chest or wrist. The doctor will attach the vein thus obtained above and below the blockage during the surgery. 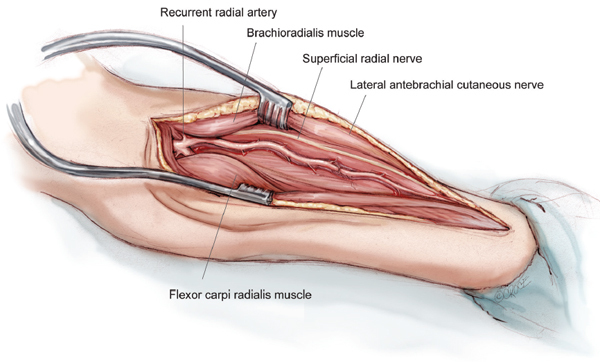 The bypass thus created helps to bypass the blockage by going through the new graft to reach the heart. Numerous methods are used to do the bypass surgery. Most commonly used one is the open heart procedure. Here the heart is stopped for some time and a bypass machine is used to pump the blood while the heart is stopped. This method is traditionally followed by all medical practitioners. The off-pump procedure is the other type followed during 1990’s in which the heart is not stopped. With the improvement in technology laparoscopic and robotic procedures are also popular in many hospitals around the globe. India has grown widely in the field of medical facilities in the last few decades and has a good number of medical experts in all parts of the nation. Metro cities like Bangalore offer many options of hospitals where efficient coronary artery bypass can be conducted. For heart attack treatment in Bangalore and information on doctors and medical facilities offered by various hospitals, the PSTakeCare website is a great option. The portal provides you details of the doctor, the facilities available, the cost of the surgery and more at a single place.